Good grief! 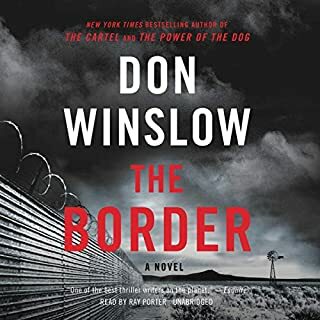 Winslow has put together a far, far left piece of garbage and lies spewing Trump hate and just ruined a great series just to fit the spurious narrative against Trump. Completely untrue and even more fake than a Jussie Smollet narrative. I have read and loved each and every book Winslow has written until this piece of lies and hate propaganda. Apparently he thinks we are stupid and can't fact check. It is not even a story, it's a far left rant. Apparently any lie and fake facts are ok if it fits sick narrative now days. I think many readers who gave this book low ratings did not stick with it long enough. I almost gave up for the reasons stated by others, but I challenge those who did give up to listen again and keep going as it is likely to surprise them. Initially, I thought this was the usual story geared primarily for teens about a teen who made countless questionable, emotion based decisions as to his current crisis and who maintained an interior, petulant (my adjective) monologue as to memories of his family, friends and situation. These all are combined with fantastical situations and bizarre acts of crazy courage/stupidity, resulting outcomes that strained my credibility, until it didn't ! Suddenly, I realized I was in the midst of an actual challenge requiring me to expand my level of 'magical thinking' as to possible realities/truth going on. 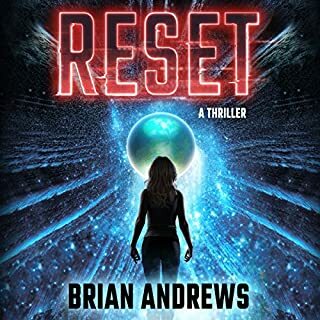 Via deft, quiet plotting, interesting reveals (many realized in retrospect) and subtle twists of the narrative, the author surprised and intrigued me and repeatedly kept on doing so. I am still not entirely sure … I need to review and think...I do think this story could/should continue! I'm happy to see Twilight Zone level stories again! 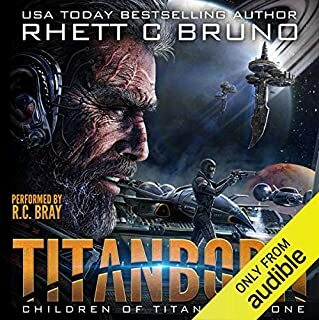 Best Story and Bray Narration Since The Martian! 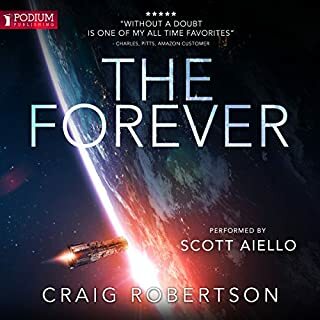 Great first book setting up characters you deeply care about who play exciting roles in an interesting and fully realized future time in our solar system. After reading most all such books in this genre, it’s exciting to discover new and interesting beginning again. plus there is no weird play to current political correctness either way, just a fun, interesting story. I already look forward to the sequel next month. I must find out what happens to the characters, as each are both good and not so good but I am interested and care to share their future. Everything about the writing, dialogue and tone is classic Bray. I know many buy stories solely because Bray narrates. I do, mostly to good result. This is the best Bray and Story combo I’ve heard since The Martian. Join Kindle unlimited and you may purchase Audible audio for under $2.00!!! Support for Mass Murder of Human Population? I support the authors' contention that as human adults we are charged to shepherd protect our children as well as the planet and all life thereon. Yet, I am uncomfortable in his fierce threatening tone and forthright hate speak about the human over population of the planet and the human ethos that nature must be conquered and spiteful comparisons of human over-births to the numbers of remaining gorillas tigers, polar bears etc. He virtuously proclaims the moral imperative to equate animals as kin to humans and equal in value to humans especially human children. He does not directly specify his solution, but I am uncomfortable that this diatribe comes as the actual last chapter after an vague end describing the repeated secret attempts by 5 elite people in the near future who successfully have sent technology back in time to tailor (but thus far failing to enact) the mass extinction of most human beings on the planet even if success would mean their instantaneous death due to killing their parents. Think about that. This book seems to support mass human extinction as a solution to plight of animals and climate change. Hopefully this book does not justify eco-terror against humans acts by similarly minded who read. Apparently hundreds of years in the future people still spew hate, hate and more hate on Donald Trump to the extent the key character physically and almost uncontrollably shudders at the thought of Trump. Clinton’s descendants are still running to control society. The USA is the evil party only saved by the UN. The story was not exceptional, but has many elements interest, humor and world building. For the 51% of readers who don’t cheer at Trump hate suddenly showing up mid story, beware. The author’s hate speak is not repetitive so it is possible to just ignore it. The author has every right to his virtue signaling, informed readers have the choice to read or not. Must even fiction be Anti-Trump? I find it intriguing that even successful authors of wildly successful, fun spirited book series find it necessary to alienate over 50% of their readers with Anti-Trump anything. So, if you want to add such to your dose of daily rage, go for it. Ray Porter does his usual, funny job of narrating. He truly embodies Joe Ledger. I just can't stomach more politics of any ilk. Up to you. I tried to ignore it, but it did get extreme. Wonder if this review will be censored … will I? Strange times. 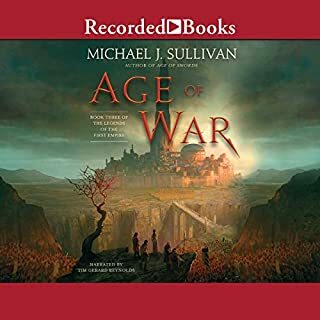 Even if you loved and have been entertained by Sullivan's other series, and if you haven't invested in this series, I recommend that you seriously read many more of the other reader reviews than you usually do. We all wanted to love this new series by an autyh0r who has entertained us for so may hour's previously, but considering where this series stands currently, I don't know how Sullivan could rescue it. I feel a bit ripped off to be truthful. 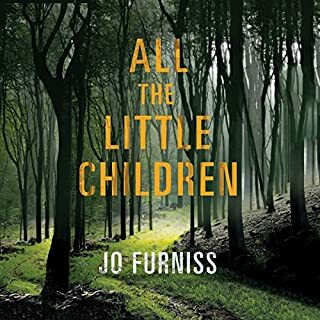 The first book was very good, and while the world building was weak, I was hopeful I would meet characters I liked or hated or were at least interesting to follow. In book 2, I started to slightly disrespect most of the characters but still had hope to care and hoped once the series got interesting, I would enjoy their journey. Upon barely sticking with book 3 to finish, there is not even one character who I find likeable or worth disliking nor has the story advanced much if at all from what could easily be predicted from the first book. The book is written at such an embarrassing a pre-juvenile grade school boy-girl level, it is a bit insulting as most readers are adults. Also, apparently the human society was at a pre-discovery of the wheel, pre invention of writing state, then one ""genius invents this and the pocket and other silly (not cute or interesting) "inventions" inconsistent to the medieval level of sophisticated farming, animal husbandry and post migratory culture mixed with sophisticated science creation art??? I'm happy to suspend disbelief, but not here. For me, unlikable characters, no plot progress from book 1 and nothing to make me want to read the next book. So disappointed to find the series expensive and bland, bland, bland. 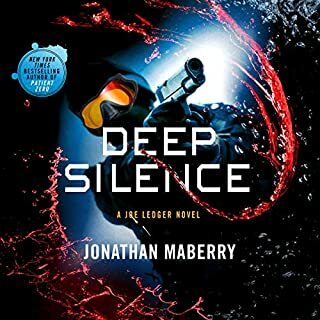 Worst book of my 5,000 Audible. The protagonist is perhaps the most stupid, self absorbed character ever portrayed. Horrible waste of time and credit. Just thought I'd alert readers that this is a repeated take on "The Alchemist and The Executionist" with more with additions to three storylines, non of which came close to any plausible end. Just more hanging threads. Will they come out in a couple years and take the stories to another non-conclusion? 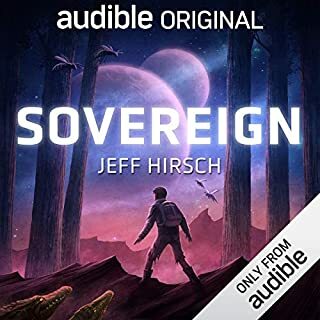 I support authors repeating good story themes and returning to worlds they built for their readers, but, for me, the repeat was ok but the additional material was very depressing without knowing what all the angst and sad events was relevant to. Perhaps they have a direction for these hanging threads and plan another book repeating this and adding to it. At best this is a weird mid book. 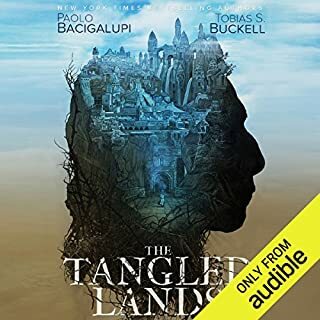 Do read all other Paolo B's work on Audible. I especially admire and love The Windup Girl. I demurred a bit before buying, as I had wondered if the author could keep me engaged and in awe in yet a sixth journey with the evermore edgy Sean Duffy. McKinty blew it out of the park with this story. Gerard Doyle's narration is magnificent! 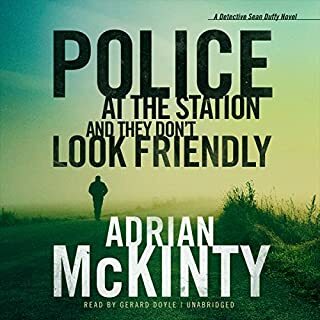 The union of McKinty and Doyle is what Audible is all about. Very close to the end I loudly screamed NO in a very public place-Twice.